YOU know the story: the man in the village hangs around the trading centre while his wife goes out to the garden early every morning to till the soil for crops that result in earnings that he eventually drinks away. While he is doing so evenings, she cooks food and lies in wait for his return, which eventually leads to children who increase her workload further till they are useful enough to fetch water or help grow crops. The couple is constantly clothed in tattered, soiled clothes but the woman’s busuuti doubles as a blanket for the entire family at night. The children sometimes get clothes handed down from relatives in the city who leave behind a bag of old clothes every so often when they spend a week in the village for Christmas – which is also around the only time our village couple gets to taste beef or chicken. The story is long, quite tedious and very depressing because it rarely leads to a “happily ever after”. That lazy, inconsiderate, drunken man manipulating his hardworking, but resourceful and faithful wife is more often than not mean and sullen because of the bad hangover brought on by cheap alcohol, so he tends to shout and kick at the children and, sometimes, his wife. The entire family also happens to pick up odd diseases you normally associate with “poor people”. Their life is despondent. When it rains, the roof leaks and the floor of their hovel gets flooded then muddy. And the diseases get worse – instead of flu, they get tuberculosis; instead of a cough, they get Pneumonia; instead of Syphillis, they get AIDS. Two out of their eight children die before the age of five, and four of them are stunted because of poor nutrition. Again, it’s depressing and tedious even writing about this family. When the man gets any money whatsoever he spends it on something considerably useless – like a new radio for listening to Chameleon’s latest, or a mobile phone to use to beep the city cousin. And alcohol, albeit that cheap alcohol that causes such a bad hangover – and that’s because he gets to drink more of it with a bit of muchomo, where he sometimes gives the waitress or alcohol woman an extra note to fondle her or more. Luckily, for many of us living in the city, that story is simply a myth because we don’t actually know anyone who lives that life or grew up that way – and we don’t really want to know them. Except that we do in a sense: think of that hovel as a country. The woman and children its citizens, working hard every day but not getting to eat good food, wear good clothes or a roof above their heads that doesn’t leak in the rain. And then the man spending his evenings drinking in plush hotels, driving 4WDs, buying up gadgets he doesn’t put to any serious use for his family, and not stocking up a first aid box for his family’s health. Just thinking about this is tedious and depressing. 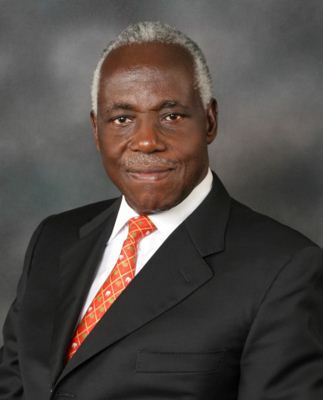 here’s to a true Ugandan hero! We can’t say enough about James Mulwana and the fact that he is a true Ugandan hero. The lessons he taught were many and I’m aggrieved that he didn’t leave behind a book for us to read and live by. It wasn’t in his nature, unfortunately for us, but I hope that the people closest to him do get together to put down his life story as a manual not just for business – but for life in general. It might be titled: “In Simplicity Lies Greatness” or some such other that would capture the way his humility stood far taller than the arrogance of so many others, and how simple it was to learn lessons from his life. In the years that he consistently drove around in his left-hand drive Land Cruiser I always caught the irony flashing off the windscreens of the cars of government officials that underwent frequent upgrades to higher gleaming models that we could ill-afford as a country. He had a half-smile (call it a grin) that normally said what the rest of us thought about certain matters, and didn’t often need to put those thoughts into words because that smile was eloquent and loud. At one high profile funeral not too far upcountry at which Mzee Mulwana was one of the first people to arrive, having spent the night before at the lumbe with us, he broke into that grin many a time and shook his head as cabinet ministers kept streaming in one by one more than forty-five minutes after the scheduled start of the service, and insisted on being taken to reserved seats of honour at the front. Many businesspeople would do well to understand why the man was a master at public relations. He didn’t do this by appearing in the news every weekend buying up some musician’s CDs, handing over baskets of food to orphans or cheques to victims of unscheduled disaster. He knew it was not about paying journalists petty bribes, advertising heavily or employing the right spin doctor. He was simply good to the people he interacted with, did impactful work and was a real person who had no compunction about stopping to say hello to anybody he met along the way. On the Uganda Journalists forum on Facebook the tributes flowed copious about his friendliness, humility, authenticity, hard-working nature, and duty to Uganda. A couple of journalists clamoured about his being named in the CHOGM investigations, but those were brushed aside on the forum as fast as they were in the national memory. As journalists, many of us learnt about patriotism from Mulwana during press conferences at which he would single out all those using Nice pens and give them goodies or even cash prizes – not for writing stories, but for promoting Ugandan products. There is lot of laughter in newsrooms at the way some colleagues would borrow Nice pens to go for UMA Press Conferences in the hope that they would earn a little something from the great man – which sadly smirks of the deeper lesson not being learnt well enough by some of those who should be spreading the message. His love for Ugandan products was not only industrial. When I was doing stories on Greenland Bank, he tempered my reporting without tampering with it; he was very sad that a Ugandan initiative had failed to achieve the then-very viable objective of making Uganda proud. Later, as Chairman at British American Tobacco, he always asked how things were for the Ugandans – because it was no secret that expatriates were paid hundreds of times more than their local counterparts, and he wanted that to change. “Mutabani,” he would start, and then engage me in a solid motivational chat lasting minutes but that had me pumped for weeks and longer. He went with as little fuss as he lived, and we all admired the simplicity with which he ensured his official farewell was conducted. No wasteful vigils lasting night after night, sucking up man hours in hangovers and causing fatigued office appearances by goggly-eyed mourners with little cause. His picture is going up on my wall, and should we rightly come up with a James Mulwana Medal at the next Hero’s Day celebrations, the recipients must be outstanding people of noble character who have done great work for Uganda. And I look forward to the James Mulwana Trade Shows where only Ugandan products are accepted – no Chinese imports, Iranian carpets or pieces of Egyptian furniture stacked up on floors laid in Italian Tiles. Until then, let’s pay tribute by going out and using Nice toothbrushes, mugs and buckets. Instead of sending Chinese-made basins to the landslide victims in Bududa, get them from Nice House of Plastics. For now, join me in raising your mug of Jesa Milk in a toast to a true Ugandan hero, James Mulwana!